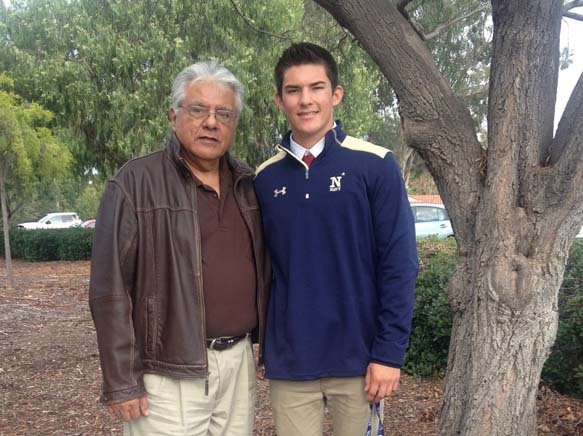 Andy Lowry, a Granite Hills High School senior and resident of Crest his entire life has received an official appointment to the United States Naval Academy by Vice Admiral Ted Carter, superintendent of the Academy. An exceptional student-athlete throughout high school, Lowry was recruited by the Academy early in his junior year to play varsity baseball for Navy. After considering several other college and baseball offers he decided to commit to Navy for its world-class education, exceptional varsity athletics and ultimately to serve his country as a Naval Officer.